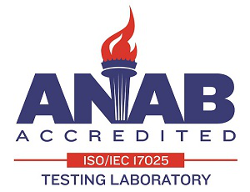 SoDak Labs is an ISTA accredited laboratory specializing in seeds such as sorghum, millets, cotton and wheat. SoDak Labs has website sample entry, expected completion dates posted, results online and emailed as a pdf daily. Our culture is efficient, fast customer service with same day planting and test analysis. One of the unique features of SoDak’s ISTA accreditation in the United States is the ability to approve authorized samplers for automatic stream seed sampling (Orange Certificates). We offer training in seed technology through our Seed Academy courses (online & on-site) throughout the year. SoDak Labs is your trusted seed testing partner located in Brookings, SD. SoDak Labs is an employee owned business providing purity, germination, vigor, trait, ELISA, electrophoresis and cultivar purity tests. SoDak Labs currently performs over 100,000 tests on 50 different species annually according to AOSA (Association Official Seed Analysis) or ISTA (International Seed Testing Association) Rules. One of the unique features of SoDak’s ISTA accreditation in the United States is the ability to approve authorized samplers for automatic stream seed sampling. SoDak Labs also provides training for ISTA sampling and issues both Orange & Blue Certificates. Our philosophy is quick, agronomically accurate service along with continual improvement. Laboratory processes are set up to have the sample identified electronically, methods specified by species, equipment and testing conditions monitored, documented, and tracked through the entire testing situation. 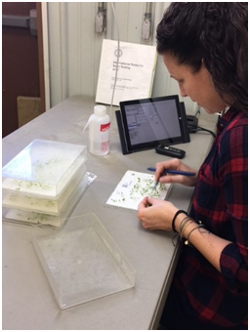 Evaluation for germination is conducted in a team approach and allows for multiple checks within the system to verify results and assure accuracy. Information is entered on an electronic tablet decreasing transcription errors and allowing for the report to be available to customers quickly. Notify me of updates to SoDak Labs, Inc.